for the period of December 1, 2009 through November 30, 2010. Proposed PLAN of WORK for 2010-2011 and coming year(s). 1) As in past years I have never used a TA or GA in any of my classes. Well, last year I did not prepare a plan of work. In addition, whatever plan I might have had was derailed by unexpected events in the Department. In my opinion evaluations that students might provide after they have been away from the school and are working in industry are a much better way to collect feedback and learn from than those filled out in class when the students don't really have a good idea of how the course contents impacts on-the-job. I have continued to encourage my students to use a web-based evaluation service at http://www.ratemyprofessors.com/. I don't know what my current "ratings" are there but I seem to be doing OK in terms of level of difficulty, helpfulness and overall quality. I did earn a red chili pepper though. My perception from these various methods of gathering feedback is that students generally find me knowledgeable, approachable and helpful but sometimes lacking in organization. I think this latter fault is most evident in my Photoinstrumentation Seminar and Special Effects courses. In both instances there is a strong emphasis on creativity, innovation and self-determination. Many students are not used to such an opportunity. For next year my plan of work vis-ˆ-vis teaching and advising is to: Continue to develop and incorporate more digital high speed imaging into my High Speed course. The Cage now has a low-tech Casio Exilim cameras donated by Casio. I bought myself one as well and will bring it to RIT for students to use as needed. We also have access now to a higher end digital high speed camera but it is not as "user friendly" as students expect it to be and the learning curve for exploitation of his device is rather long and this makes its availability for class usage difficult. I understand that my role as advisor and mentor to Imaging and Photographic Technology students has been curtailed and that other faculty will handle such matters in the future. This will give me an opportunity to devote more time to pursuing my own interests and creative endeavors. I will become more engaged with time lapse photography and expand on my personal efforts to produce more polished results than what I have been able to produce so far. My proposed plan for this in past year was (although not explicitly stated in writing): Continue to remain connected with technical professional groups such as the IS&T and the SPIE and although I'd like to prepare another paper for presentation at one of these group's national conferences I am not sure I have one in me at this time. I plan on continuing to produce photographs that have scientific validity as well as aesthetic qualities. I plan on trying to make the exhibition of High Speed and Technical photographs available to other audiences. I also will continue to make my images accessible and available for a variety of purposes through the widespread use of the WWW as a tool of image availability dissemination. Annual SPAS Exhibition - this is a record of the annual SPAS exhibition by members of the faculty of the School of Photo Arts and Sciences. This was the third year that I prepared this catalogue and made sure that a copy was included in the RIT archives as a permanent record of the accomplishments of SPAS faculty. IDSA Peripheral Photographs - a collection of all the peripheral portraits made of people attending the IDSA conference who asked to have a peripheral portrait made during my demonstration sessions that were part of the conference. Presented a paper and gave interactive demonstrations at the IDSA (Industrial Designers of America) national conference of 2010 that was held in Portland, Oregon. My paper was "Adventures in Strip and Streak photography" and my demonstrations on the conference floor were supported by the ZIBA Corporation of Portland, OR. I presented at the Seminar on High Speed Photography organized by the Visual Instrumentation Corporation in Lancaster, CA in November 2010 on the topic of Applied Streak and Strip Analog and Digital Imaging. This was to a group of about 20 government technical photographers. I presented a paper at the 2009 Symposium on the History of Photography organized by The Photographic Historical Society of Rochester, NY of held at the George Eastman House with a paper entitled "The Vanishing 16 mm High Speed Motion Picture camera". I was also a member of the Program Committee of the Symposium and am the Internet Liaison for the Society.My photographs have been published worldwide in various textbooks and specialty publications. A more complete record will be available when the RIT publication on faculty scholarship becomes available to the general public. I published in Tech Directions magazine (December 2009) an article on simplified techniques for stress visualization in plastic objects. I had an exhibition of my technical photographs on exhibit at the national conference of the Optical Society of America that was held in Rochester in October, 2010. As part of the same conference I also presented a daylong demonstration as part of their E-Day event (Education day) on the topic of "Flashing Lights". My picture of a sneeze was used in various health related campaigns both in the US and overseas. It is currently on view as part of a campaign at the University of Rochester Medical Center to encourage people to prevent the dissemination of flu germs though uncontrolled sneezing. I was one of three photographers that were included in an article on slit-scan photography that was published in American Photo magazine in the Nov- Dec. 2010 issue. 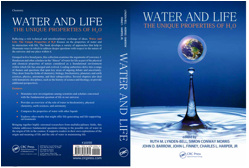 My photographs was used on the cover of Water - and Life book published by CRC Press in June 2010. The number of instances where my photographs have been included (invariably with mention of my association with RIT) is just too large to list in detail. I should keep better track of these but I must admit I am not very good at record keeping of such matters. Hi Andy, Your image is in the magazine tomorrow! It looks fab, send me your address and I'll pop a couple in the post for you. Happy New Year, all the best, Madeleine. I participated in the Black Mountain North Symposium that was held at RIT this past Fall with: (http://www.blackmountainnorth.org/program/) "All Day: RIT Photography Professor Andrew Davidhazy will present Time and Space, an interactive rollout photography demonstration. Become a part of a novel space and time portrait photography experience that will be provided by Prof. Andrew Davidhazy at the Innovation Center. Participate in the demonstration and receive a signed memento print and the digital file for your use (or amusement)." Roy Dunn Wonderful and inspiring! September 8, 2010 at 3:42pm <>John Compton Andy - For over 30 years while I taught at RIT I was fascinated by the science and technology of photography and the skill and passion with which you taught it. This video makes me want to get back in the classroom! For all the crap that goes on with administration outside the classroom, when you close the door to your classroom, you're in charge and master of the domain. Hats off to a master! Participated in a workshop for technology teachers and did the paperwork and promotion associated with organizing it. Unfortunately this was thought to be beyond the realms of appropriateness even though it was something that had significant historical precedence and had been recognized as a significant event in the lives of about 250 high school teachers who had participated in such workshops in the past. 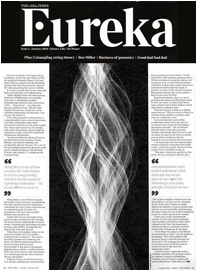 Three of my photographs were published across a double page spread in the recently published book by the Pars Foundation of the Netherlands on the subject of ELASTICITY. They appear on pages 128-129 of the book edited by Hester Aardse and AstridVan Baalen. Copyright Lars Mueller Published 2010. Harold Edgerton is world renowned for his contributions to high speed photography and especially to high speed electronic flashes and stroboscopes. One of his demonstration devices is The Piddler. Construction and use details are provided in this article. The Casio Exlilim camera allows recording rates at 300, 600 and 1200 frames per second but to go to 600 and 1200 pps it cuts the frames size into 1/2 and 1/4 segments. This article presents some discussion about the topic and a possible, though admittedly far fetched, solution. The Wratten 18A filter is one of the most commonly referred to and used filters for reflected ultraviolet photography. However, it not only transmits ultraviolet but also some infrared. This article examines the effect of the infrared transmitted as it might affect the ultraviolet record. The Corning 9780 or 9788 infrared cutting filters are considered the standard to use for infrared luminescence (or fluorescence in the infrared) photography. This article suggests an inexpensive solution to those high priced filters. This describes the making of a PC flash synchronization socket such as built into most professional grade camera bodies and used to fire an off the camera flash in synchronization with the camera shutter. There are several commercial sound synchronizers available on the market but this article describes one home-made solution to making photographs triggered by detecting their sound. It is based on the LM 380 integrated circuit audio amplifier. An added bonus is that it includes instructions on how to make an improvised female PC flash connector. Photographs that show surface detail of the entire circumference of objects can be made various ways. This article describes how to do it using a basic Digital Single Lens Reflex (DSLR) camera for the purpose. For next year more such articles are in the works. So what are some of my other plans for next year? I plan on devoting myself to teaching my traditional courses and developing more experiments suitable for incorporation into the curriculum, especially in the area of spoecial effects. This course was designed primarily as an "analog" based course since special effects can often be easily accomplished in the "digital" realm. Last year I published several books through Lulu.com and I propose to publish more work through them. I will continue to promote and send my traveling exhibits of technical photographs to more schools nationwide. This will the third year of this activity and the response fro the host schools has always been quite positive. As far as I know this is the only example of photographic work produced in SPAS that is being exhibited in high schools and colleges in the US and Canada. I was asked to produce high speed photographs of a desalination process developed here in town and also of some ballistics performance high speed photographs for a carbine manufacturing company located in Canandaigua, NY. I also plan on revisiting the Visual Instrumentation Seminar in California next time it is scheduled and will be consulting at Arizona State University (along with Jim Bales of MIT) where they are implementing an Imaging Technology program to service the military ranges in that neighborhood. I will participate in several exhibitions and will have my photographs published and exhibited at several venues throughout the US and Canada. Well, in the past I simply stated the following: For next year I plan on continuing to participate in high school visits, Science Exploration Days, presentations at teacher seminars and high school photo conferences, committees, etc. As in the past I gave two lecture / demonstrations in the High Speed Photography Lab to a group of about 50 visiting Lewiston Porter High School students and their faculty. I gave a lecture/demonstration in the High Speed Photography Lab to a group of about 15 visiting Cleveland Community College students and their faculty. I brought the Nikon Small World exhibition back to the School of Photographic Arts and Sciences for the 19th year. This collection of photographs is generously sent to us by the Nikon Corporation and is available to us for a whole year and displayed on the walls of the Dr. Ron Francis Photographic Chemistry lab. I am a member and Fellow of the International Society for Optical Engineering's Edgerton Award Committee as well as the overall Awards Committee. I am the Internet liaison for The Photographic Historical Society and maintain for them an Internet presence off my website. I will be helping them transition (move) this website that has been provided to them as a community service for a number of years to an external site. I am currently helping the Society collect abstracts for the 2011 Symposium and expect this to be a major external service commitment over the coming year. Alumni Contacts: I maintain regular contact with all graduates of the Imaging and Photographic Technology program. I keep in touch with my friends with updates and news of job opportunities. I plan to curtail my activities in this regard as there are more informed and capable faculty to handle such things. My plan of work for next year: For next year I plan on continuing to participate in presentations at meetings of professional organizations but probably not at the level I was able to reach this past year. If your 2009-2010 plan of work, called for any special activity outside of the above three categories, please provide an appropriate review of the evidence that such plans have been achieved. In the past I stated: For next year my plan is continue to continue to stay active on the web with the PhotoForum and Fotored mail lists and to devote less time to the PhotoHist list. I will be active again next year as the Internet Liaison of The Photographic Historical Society. In terms of the other communications initiatives I plan on remaining active in terms of presentations and visitations to local and regional high school and colleges. I did pretty much as stated except that certain in-house developments have interfered with some of my objectives for the past year. I have pretty much discontinued the Photographic History (PhotoHist) mail list which I started in the late 1990s as the competition from the Yahoo! group is just too overwhelming to keep this small list alive. I will continue my long-term association with Prof. William Allen, working with him on a collaborative project that is an INTERNATIONAL DIRECTORY OF PHOTOGRAPHY HISTORIANS associated with the History of Photography Group. I plan on giving a lecture/demo at Lafayette University in Lafayette, PA on March 7, 2011 at the invitation of Jenn Stroud Rossmann, Ph.D., professor of fluid mechanics. I also plan on giving a presentation and workshop at Ownes Community College in Toledo, OH on Feb. 19-21, 2011 at the invitation of Prof. Ruth Foote. This will entail a three day effort with two devoted to traveling. I will continue to manage the PhotoForum mail list on the Internet (going on the 17th year for the list and the 15th for the gallery) and besides dealing with day to day issues related to smooth operation of the list itself, I am "proud" to say that I have for one more year installed a brand new gallery of list member's images on the web every Saturday morning of the year. I have been doing this actually since 1996 without anyone here in SPAS really knowing anything about it. I also have continued to look after the Fotored mail list. On Fotored the language used is Spanish and it serves about 350 Hispanic individuals worldwide. I will continue to engage in professional consulting activities, public presentation, etc. as in the past. In summary, I once again (how do you like that!) want to thank all my colleagues in the School of Photo Arts and Sciences department, as well as all its students, for making working in the department such a pleasure (most of the time!). I am certain when I say that without the support of my true friends my activities and contributions would not be possible. Again, I want to acknowledge that the list of contributions mentioned above would not have been possible without the support of the BFA side of SPAS and in particular that of Dr. Therese Mulligan. I appreciate the opportunity to be of service in other ways that is made available to me by my colleagues near and far. Thank you.